NAPERVILLE, IL. — Chicago Pro Bowler Defensive Back, Charles Tillman, was on hand August 30, 2014 from 11am-3:00pm to meet and greet fans, sign autographs and take pictures as part of the kickoff celebration for the new Gerald Kia opening located at 1661 Aurora Avenue in Naperville. Source: Chicago Tribune. Tillman is a dedicated human being both on and off the field. He established the Charles Tillman Cornerstone Foundation whose mission is to provide opportunities and resources to children and their families who are in need. Since 2005, Charles Tillman’s charitable efforts have impacted the lives of over one million Chicago-area children. In support of the Charles Tillman Cornerstone Foundation, Gerald Kia of Naperville will be donating $200 for every car sold and $100 for every test drive on Saturday, to this honorable charity. 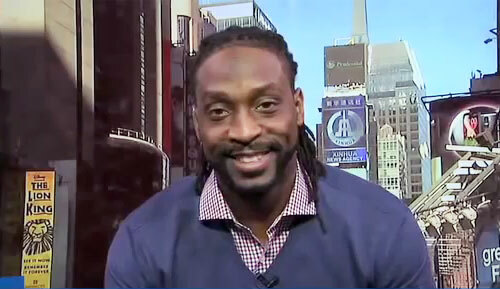 Watch Charles Tillman speaking with Dan Le Batard and Bomani Jones on ESPN2. Charles Tillman has played cornerback for the Chicago Bears since 2003. He’s a 2-time Pro Bowl selection and 3-time winner of the Brian Piccolo award. Tillman is also a popular guest speaker and devout Christian. If you would like to book athletes like Charles Tillman for a speaking engagement, autograph signing or special event, contact Charles Tillman’s booking agent for appearance and speaker fees at Sports Speakers 360. For booking agent and appearance fee information on how to hire Chicago Bears players, call 1.855.303.5450.